When a development project hits a snag, clients rely on Denyse’s litigation skills to get it back on track or see it come to fruition. 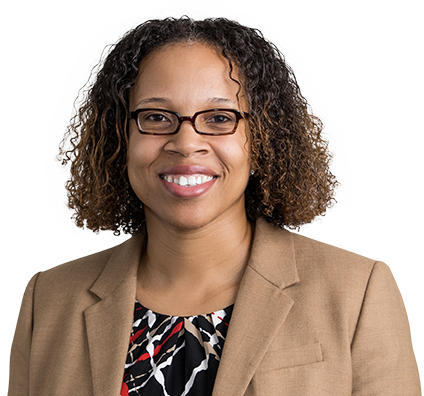 Denyse takes pride in using her legal skills to advance the revival and growth of neighborhoods. She focuses her practice on business litigation for property owners, developers, political subdivisions, title insurers, taxpayers, and commercial lenders and lessors. She counsels clients on land use matters, litigating on behalf of projects in danger of losing momentum midstream. She also advises clients on conditional use permits, development disputes, title claims, rent disputes, creditors’ rights litigation and premises liability. In addition, Denyse represents plaintiffs and defendants in commercial litigation matters, including complex breach of contract, lender liability, fraud and product liability. Denyse is adept at all phases of litigation and has served as lead counsel in court and arbitration forums. After the St. Louis Board of Aldermen authorized a $65 million bond issuance for renovations to the Scottrade (now Enterprise) Center, home venue for the St. Louis Blues hockey team, the St. Louis comptroller refused to sign the agreement. An alderwoman and other taxpayers joined the attempt to block the legislation by filing a declaratory judgment action in the Circuit Court of the City of St. Louis. The owners of the St. Louis Blues turned to Husch Blackwell to take quick action. Less than four months later, Denyse and the litigation team successfully obtained an order of mandamus requiring the comptroller to sign the paperwork. A rigorous motion and discovery practice led to the dismissal of several claims, as well as several rulings unfavorable to the comptroller and other plaintiffs. With the trial on the declaratory judgment looming, the taxpayer group folded and signed a termination of litigation. Obtained dismissal of federal lawsuit seeking to halt construction and operation of trolley car line on constitutional and procedural grounds. Decision affirmed on appeal. After trial, obtained order of declaratory judgment and injunctive relief for developer of 58-acre tract in St. Louis County, Missouri, finding that developer's site development plan was consistent with indenture requirements and prohibiting alleged indenture trustees from interfering with development. Secured dismissal in federal District Court of class action lawsuit against AgriBank, largest of five banks within National Farm Credit System, brought by Arkansas landowners to quiet title on mineral rights retained by AgriBank. U.S. Court of Appeals, Eighth Circuit, affirmed judgment, upholding AgriBank's right to retain mineral rights on acquired properties sold to private purchasers throughout central United States. After evidentiary hearing, obtained order from Missouri Tax Commission finding nonprofit organization was entitled to charitable exemption from property taxes. Denyse enjoys working out, especially weight training and kettle bell routines. She is an avid reader and is obsessed with podcasts on a variety of subjects: long personality profiles, politics, sports, basketball and pop culture. Denyse chairs the firm’s Diversity Pipeline Subcommittee and leads outreach programs for high school and law school students. She directs Explore Law, a program in which high school students explore negotiation, contract writing, depositions and arguments. Denyse also leads panel discussions with law students about how to be successful students and lawyers in summer employment and beyond, and hosts coffee talks to answer students’ questions.